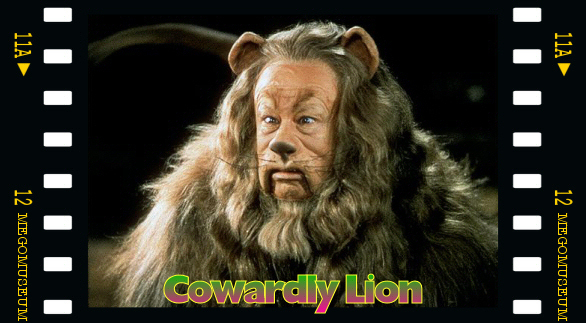 Cowardly Lion (Item No. 51500/3): The third in the line of Wizard of Oz figures, this item recreates the character of the Cowardly Lion (Bert Lahr) from the film. 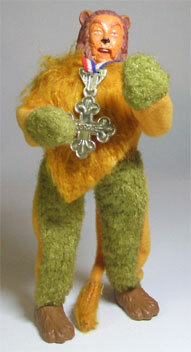 The Cowardly Lion comes on a “fat” male Mego body. His outfit is comprised mostly of a bodysuit made mainly of orange fleece, but with brown “fur” covering the hands and pantleg-fronts, and a coarse, orange fur chest piece attached at the collar. An orange fleece tail with an orange fur tip is attached at the back. 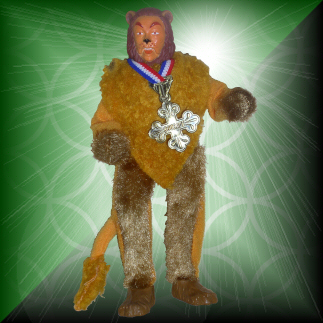 (This bodysuit is more impressionistic than accurate, but it does the job of conveying the notion of a lion’s costume.) A pair of brown rubber shoes, molded to resemble lion’s paws, complete the ensemble. 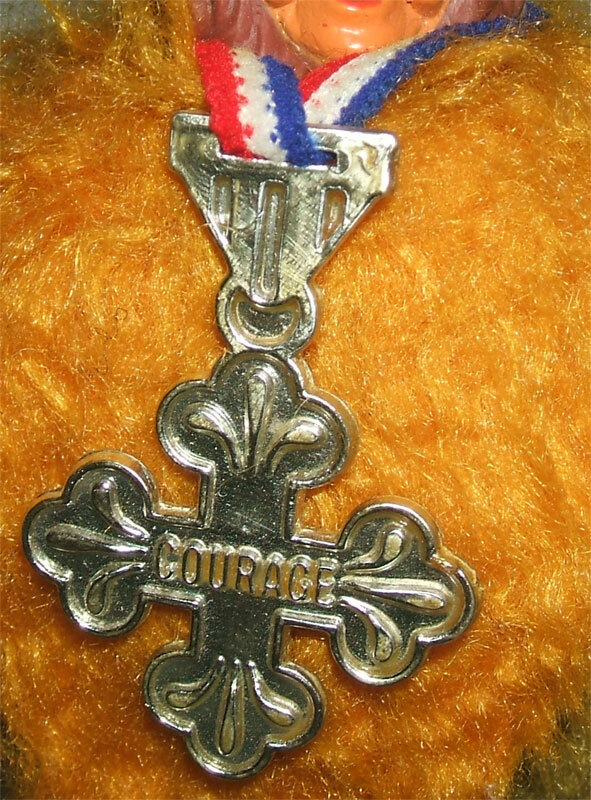 His only accessory is his trademark “Courage” medal, which is an oversized, gold vac-metallized cross suspended from a red-white-and-blue ribbon. 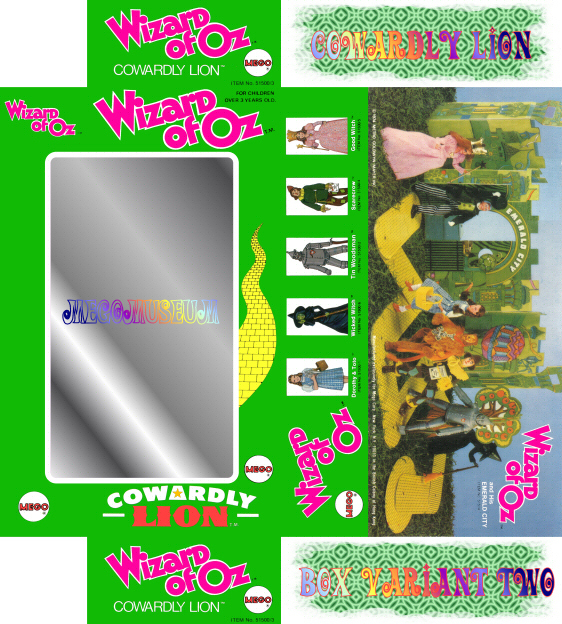 Package Variants: Like all of the other first series figures (except the Wizard), the Cowardly Lion is available in both the “plain green” and “yellow brick road” boxes. He was also available in a plastic header-carded baggie for clearance purposes (a rare end-run variant), as well as being included in the ultra-rare Emerald City Gift Set (along with the other six figures from series one). Figure Variants: The Cowardly Lion is available on both a Type 1 “fat” body and a Type 2 short-torso “fat” body (the Type 1 body is far more common than the Type 2). Also, there are two different facial paint colors and two different jumpsuit designs (discussed below). Caution Collectors: The Cowardly Lion’s ears are extremely susceptible to paint loss, so treat them with care. Also, as with all vac-metallized plastic, the “Courage” medal is susceptible to flaking and fading/tarnishing, so keep any handling down to a bare minimum. 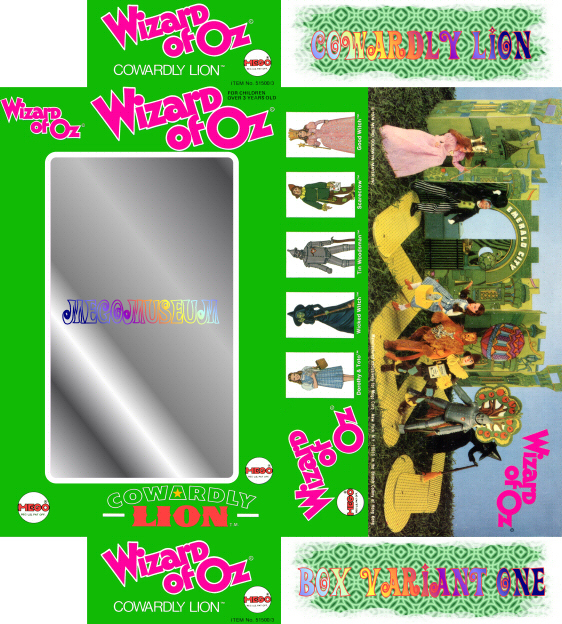 Click on the icons above to view detailed scans of The Cowardly Lion’s Box Variants and Box Insert! 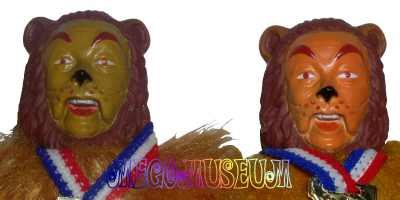 The Cowardly Lion’s head came in two different styles, as can be seen in the image above. While both styles of head were cast in brown vinyl, the faces were painted in different colors. The first head was painted with a yellow color, which, depending on the density of the coverage, could make the face look yellow-ochre to near-green, due to the brown vinyl showing through from underneath the layer of pigment (left). The second head was painted with an orange color, which could resemble anything from a bright-orange to a lighter, yellow-orange (right). Neither is particularly rarer than the other. almost feels like velvet) (left). The second style has a collar with short, tightly-curled orange hair, and has brown fur on the jumpsuit that is lighter (almost blonde) and longer (right). 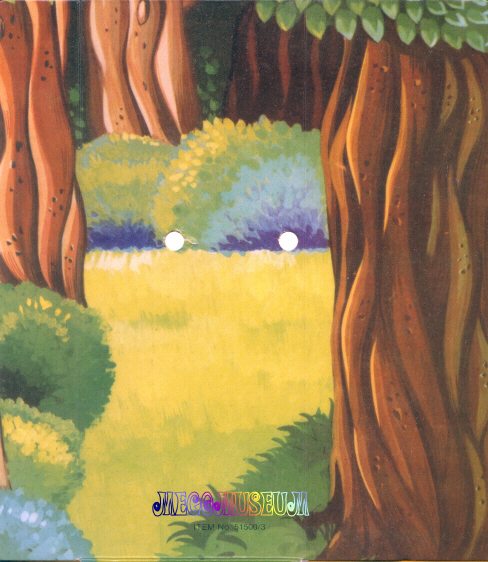 Neither is particularly rarer than the other. 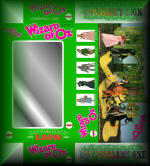 Above is an example of a mint-in-box Cowardly Lion with first-style head and jumpsuit, on a Type 1 body, in a “plain green” box (left), and a mint-in-box Cowardly Lion with second-style head and jumpsuit, on a Type 2 body, in a “yellow brick road” box (right). 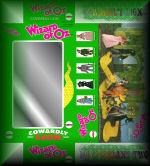 Above is an example of a catalog mailer box for the Cowardly Lion figure (perhaps the “C” denotes Catalog release?). The Lion sports the courage medallion given to him by the Wiz. His courage has not been factory reproduced. For some reason Mego gave the Lion shoes made to look like Lion feet. They totally enclosed his hands in a furry mitten manner, but he has Lion paw shoes. Cool! These shoes have not been factory reproduced and are unique to the character.